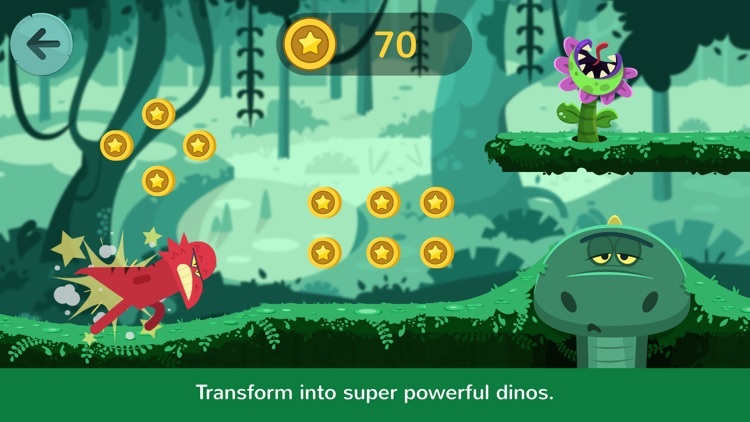 Dinos Jump is an action game featuring Max, Tilo and Lucy, three adorable little dinos who jump through obstacles to obtain knowledge of fascinating prehistoric creatures. 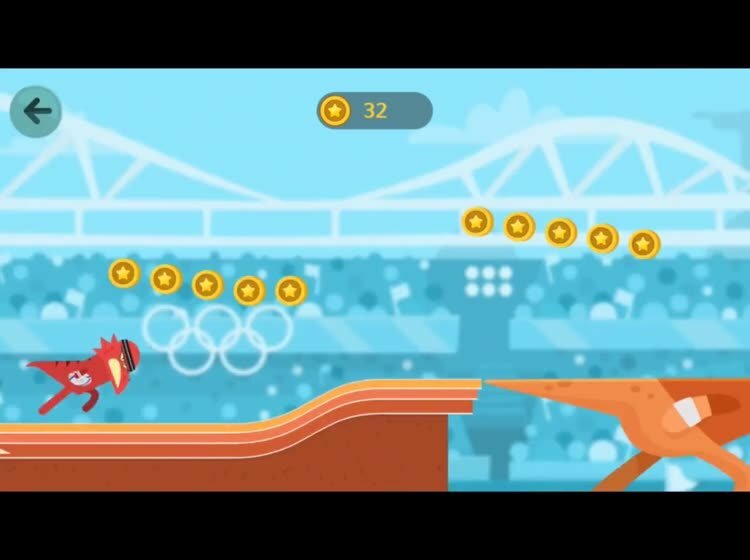 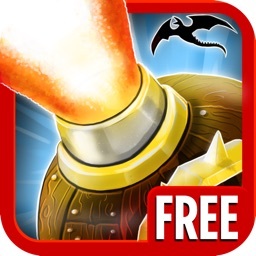 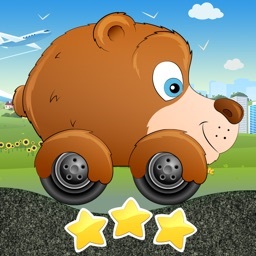 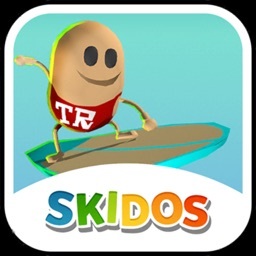 - Run through different scenarios, jumping through obstacles and using power ups. 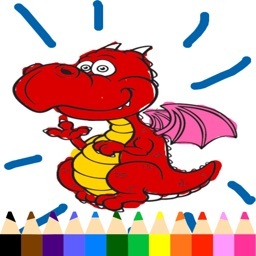 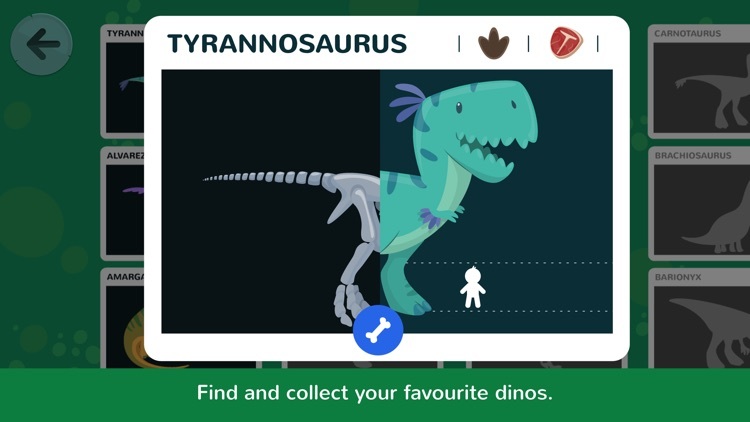 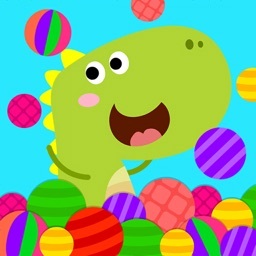 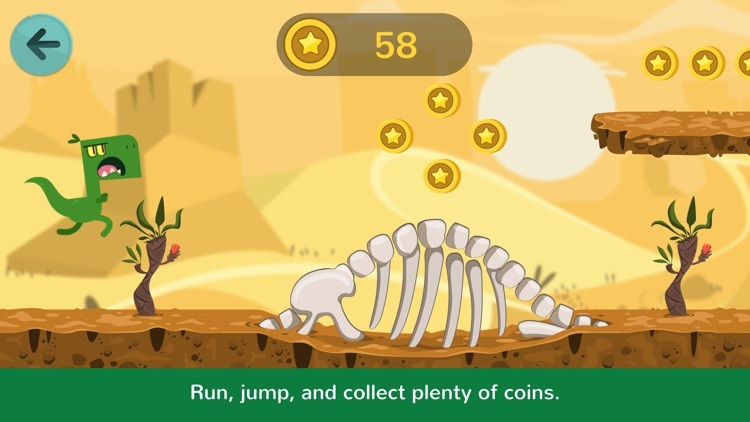 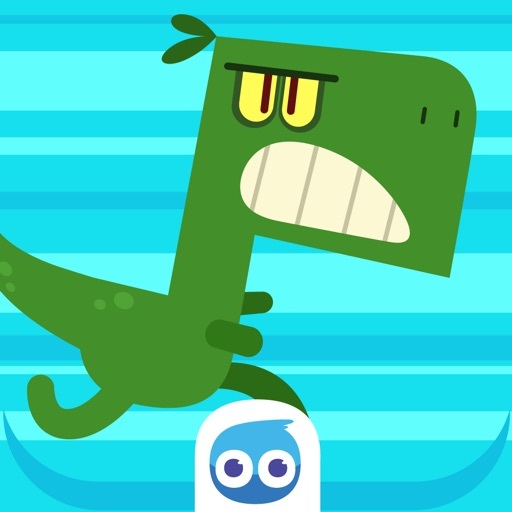 - Collect coins on the way to discover bonus educational content with dinosaur themes. 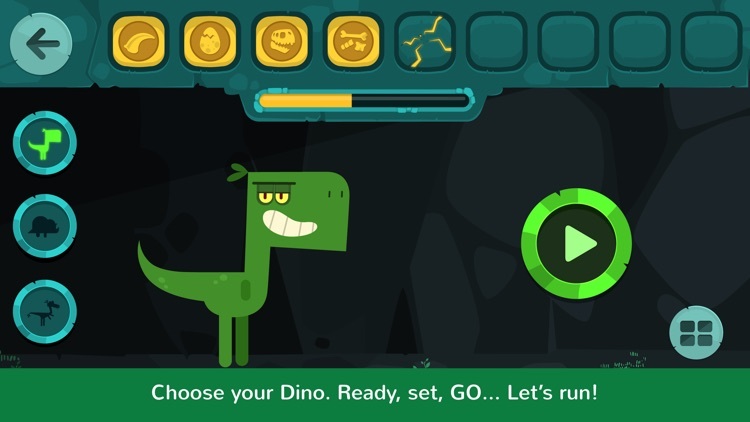 - Obtain cards with info on different dinosaur species with each run, collect them all! 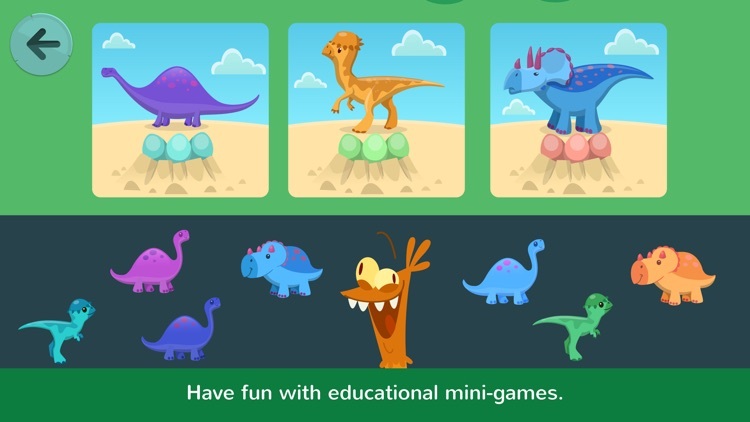 Our educational content is especially designed for children to develop their skills and intellect, and all the information included on dinosaurs has been provided and checked by professional paleontologists and scientific associations.